Since this is the beginning of my design journey I wanted to stay with beginner patterns, but a bit harder than the Plain Jane Bow Pattern. I also wanted this design to be bigger in size, but simple so I designed the Lee Scarf Crochet Pattern! I used a J-10 (6.00 mm) crochet hook, and Lion Brand Heartland yarn that is super soft and machine wash & dry. 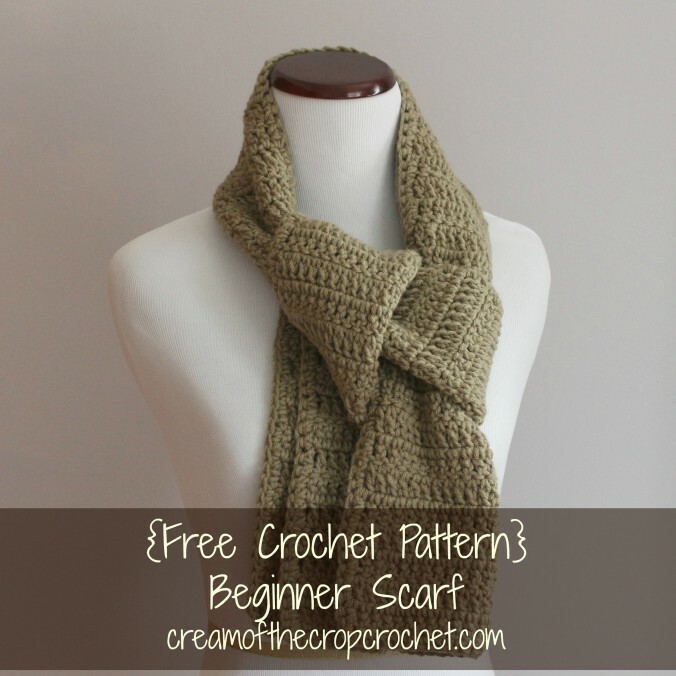 This pattern is great for a beginner in crochet, as it practices chain, single crochet, double crochet, rows, and turning. You could even try changing colors! Some more customizing you can do, is add a flower, bow, ruffle edging on the bottom, or any applique. I would sure love to see what y’all come up with! *These are our finished sizes. If yours doesn’t come out this size, please check your gauge. You may stick with CA or change to another color. Cut four 1′ strands of yarn for each piece of fringe. I spaced mine out every every 2 spaces on each end of the scarf. You may stick with CA or change to another color. Working on the ends of the scarf. Repeat this method on the other end as well.